What do you need to succeed in business? Strategy, sure. Core values, of course. But what about digital infrastructure? Specifically—what about apps? There comes a point in every small business owner’s life when they realize their company has gotten too big for them to handle in certain ways. Maybe it’s keeping track of expenses; maybe it’s too many emails piling up, maybe it’s a flurry of social media questions you lose track of. But the result is always the same: an epiphany that tells them they need to invest in organization. That’s where apps can be a valuable lifesaver. Invest in the right ones, and you’ll be able to tangibly see the ROI in terms of saved time alone. Here are just a few apps to get you started. There are hundreds of worthwhile apps you should look at, of course, but these are some of the most critical and well-reviewed ones that thousands of companies around the world are trusting. Concur has become one of the most definitive expense-account apps for modern companies of all sizes, including major multinationals, federal government bodies and healthcare providers. Employees can snap photos of their receipts through the mobile app, then easy itemize and track their expenses. Managers can then quickly review each expense and approve them from their own mobile device in a matter of seconds. It’s an ideal solution for companies with remote employees or employees who frequently travel—journalists, on-site engineers and sales teams are just a few examples. The app also allows for analytics reporting, credit card integration and electronic receipts for all purchases. Evernote is a note-taking app designed as a more flexible notepad that works across multiple devices. You can snap photos and attach notes to them, jot out longer memos or create checklists to keep things top of mind. In short, it can replace Microsoft Word and then some. 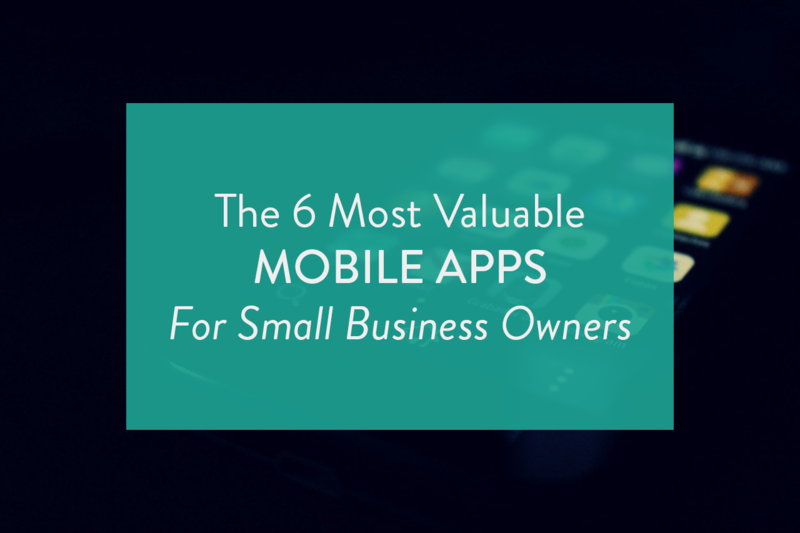 The app creators offer a few ways small businesses can use it. You can create an ongoing database for snapping photos of equipment with serial numbers and purchase info. You can create and organize a digital company binder with general notes, dates and instructions to share with your employees, or a private one for managers only. Sick of searching your email inbox for one detail? Slack makes communication easy. It’s a direct communication line for the 21st century, allowing company members to chat with each other privately or in groups. Searching for words and topics is easy, and eschews the problem of having to dig through old emails to find relevant information. You can create multiple group chats for anything you need: “Social Media Ideas,” “Development Projects,” “Kitchen Happenings.” It creates a less formal, faster medium for communicating with your team—and it’s intuitive and easy to download and use. Best of all, Slack starts off free, and small business can keep it that way unless you want to pay for a bigger plan. This broader alternative to Skype allows for video conferencing in groups, and has historically aimed its product specifically at small businesses. Their interface has been recently updated, and the tool’s designed to be easy for companies without on-staff IT specialists—ideal for small business owners who work with remote workers and various clients around the world. The software comes with some very handy features, including the ability to switch between devices while in a meeting—so you can switch from your phone in the car to your desktop at work and stay connected—as well as a solid free version and a few other perks. Hootsuite is more than just an app, but the app can help organize your small business’s social media presence to help elevate it to the next level. Hootsuite creates a main dashboard where you can view all your company’s social media feeds—Twitter, Facebook, LinkedIn, Instagram, Google+, YouTube and others—including when people mention or message you. You can schedule posts, upload future posts in bulk and moderate comments. All this is free, but if you can afford to pay for one of their plans, you can also find social analytics and the ability to run social-media contests and sweepstakes to help generate new followers and boost engagement among your current base. Shameless plug here, but no small business should be running without a CRM. Having access to your prospects’ and customers’ contact information on-the-go is wildly helpful in staying top of mind with your audience. Hatchbuck Mobile includes many of the desktop version’s most impactful CRM features to keep you connected to your customers in and out of the office. You can quickly create, lookup, and update customer contact records and see a full contact detail view. Hatchbuck Mobile allows you to stay in touch with contacts constantly — whether it’s a phone call, text message or a one-off email, you get to stay top of mind and your customers don’t feel neglected. Running a small business comes with plenty of twists and turns so making sure that you have tools like these apps at your disposal will keep you organized and on top of your growing to-do list.